Toowoomba residents Rhonda and David Weston are Toowoomba Regional Council’s Regional Citizens of The Year. Toowoomba Council announced three Regional Awards on Australia Day this year as well as community awards for Cambooya, Clifton, Crows Nest, Highfields, Milmerran and Cecil Plains, Oakey, Pittsworth and Rosalie (Goombungee). Awards for Yarraman residents would be entered in the Rosalie section, but unfortunately no local residents won awards this year. The three regional awards cover the full TRC area. 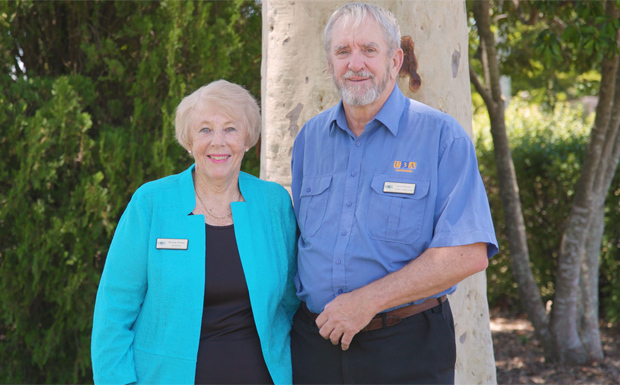 Rhonda and David Weston were honoured for improving the knowledge, welfare and activity of Toowoomba retirees and for enhancing social cohesion in the city through their involvement in the University of Third Age (U3A). U3A in Toowoomba (U3AT) blossomed when Rhonda and David joined the committee in 2010. David became a tutor co-ordinator and Rhonda became president in 2011. The organisation offers 180 courses in academic, art, computer, craft, dance, finance, games, history, language, health, music, philosophy, sport and writing in Toowoomba, Pittsworth and Crows Nest.